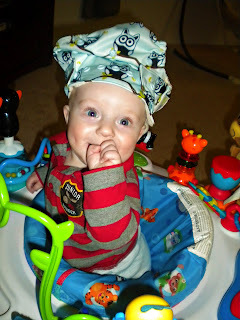 When we got home, Daniel was ready to have his fun Landin time...he decided it would be funny to put Landin's new GroVia on his head, little did we know that he would actually enjoy it! He even looked at me for a little photo shoot! Landin and Dad always have the best time together, and you can tell from Landin's body language that he absolutely adores his dad. 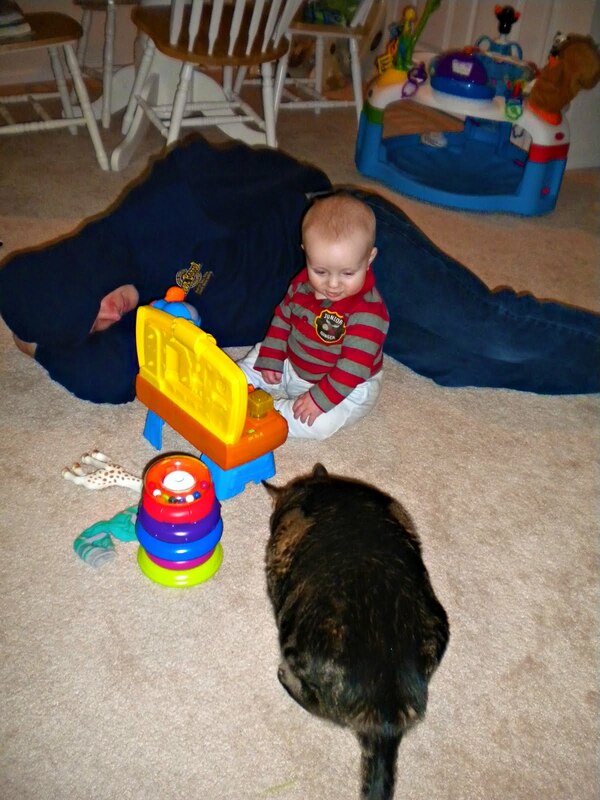 So they played some more and we did some more tummy time. Landin is starting to do the inch worm for crawling and it is so exciting to watch. He sticks his little bum up in the air with his feet on the ground and tries to inch forward! First step to crawling accomplished? I would say, YES! So here are a couple more pictures from last night! squealing when he sees her!